A lot of us rely on tuna as an inexpensive sandwich or salad staple. However, one savvy consumer noticed that StarKist might be shorting its customers, and now tuna fans have the opportunity to get $25 in cash — or $50 in vouchers to buy more tuna. 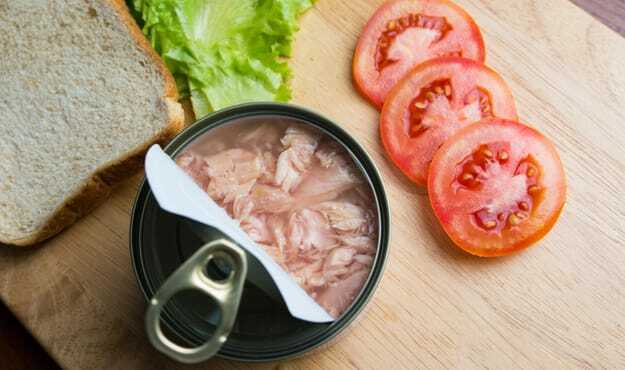 A few years ago, a man discovered that StarKist was underfilling its tuna cans “by a few tenths of an ounce,” reports Consumerist. a A class-action lawsuit followed, and now Hendricks v. StarKist Co has been resolved to the benefit of tuna lovers everywhere. Here’s how the settlement went down: StarKist did not admit fault, and the court did not rule in favor of either party. Instead, StarKist agreed to provide either $25 cash or $50 in tuna to consumers who purchased one of four StarKist products between February 19, 2009 and October 31, 2014. If you’re eligible, file your claim directly through TunaLawsuit.com no later than November 20, 2015. Do You Need Proof of Purchase? You do not need a receipt or other proof of purchase to submit a claim. You will, however, be required to submit a Claim Form confirming under penalty of perjury (i) the specific StarKist product(s) you purchased, and (ii) that the purchase or purchases were made within the Settlement Class Period. One more word of warning: TunaLawsuit.com does state that “These claim amounts may be subject to pro rata dilution if the total amount of claims exceeds the available settlement funds.” Let’s hope all of you tuna lovers get your full claim amount. Want to learn more? Read the full story at Consumerist. Your Turn: Did you purchase StarKist tuna during the stated time period? Are you going to claim your settlement money, and are you going to pick the $25 or the tuna?